survivor Douglas Baker, spoken by the actor Ronald Pickup. 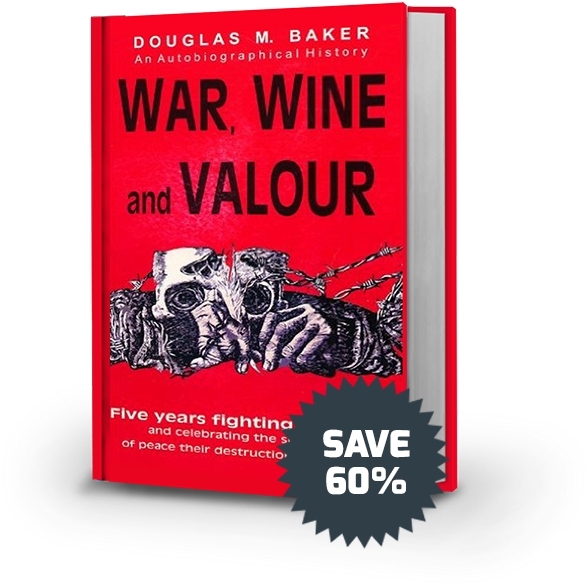 Buy War, Wine and Valour audio book NOW and claim your free Douglas Baker audio lecture. History in the making, experienced and survived by a courageous yet sensitive young school boy who risked life and limb to defend the principles of democracy. 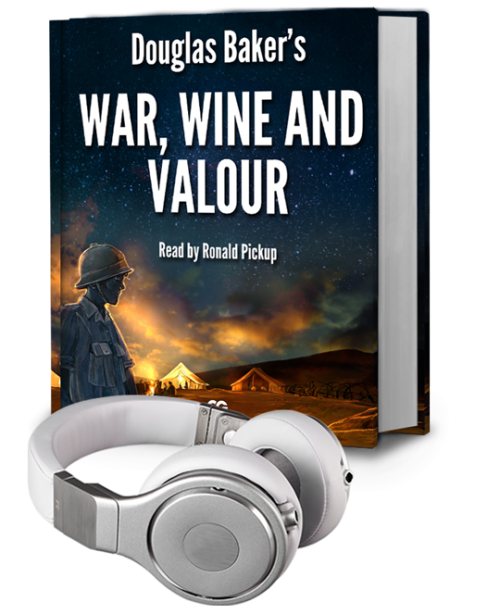 Ronald Pickup, a renowned British actor, delivers a brilliant action-packed reading for this abridged war audio book of Douglas Baker’s intrepid autobiography of WWII. He captures an authentic portrayal of the passion and playfulness of youth, the psychological challenges of men at bay, the terror of war and the unexpected humour, as artfully described by Douglas in his own words. Not another run-of-the-mill rendering of war stories, this is the story of a 16-year-old youth who began his journey to manhood when he volunteered to fight with the Natal Mounted Rifles on the warfront in the desert of northern Africa, as well as in Italy, against the inhumanity of Hitler’s fascism. free Douglas Baker audio lecture. Dr. Douglas Baker B.A., M.R.C.S., L.R.C.P., F.Z.S. Douglas Baker, English born and raised in South Africa, pursued extensive scientific research into the complexities and mysteries of Man’s mind. 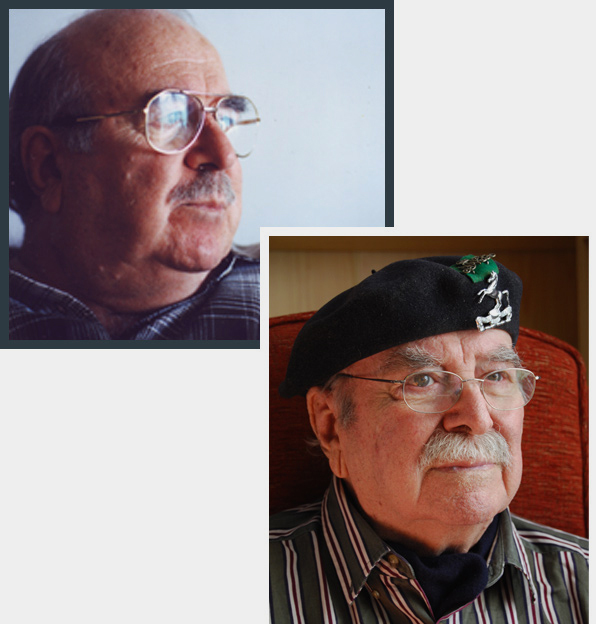 His transformative experiences during the Second World War, when twice severely wounded, set the pattern for his life-long investigations into the meaning of life and the Powers Latent in Man. He graduated in the Arts & Humanities in South Africa and qualified in medicine at Sheffield University (UK) in 1964. Having taught in the East End schools of London for 10 years, he began his tour of the Western world giving lectures and seminars in Esoteric Healing, Esoteric Anatomy, Esoteric Astrology, Esoteric Psychology, Esoteric Science and Metaphysics. He gave more than 15,000 lectures and attracted people from all over the world to his Esoteric Science Festivals and International Summer Schools staged in America, Canada, England, Switzerland, Italy, South Africa, Australia and New Zealand. 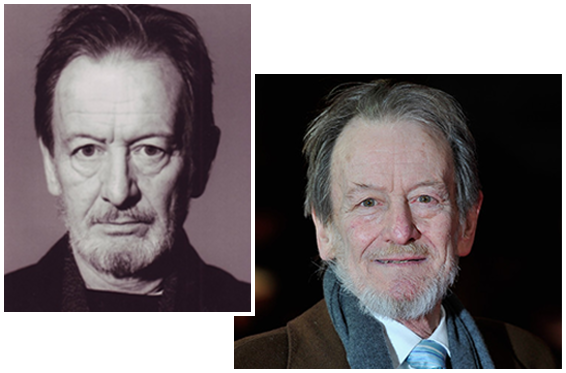 Ronald Pickup is one of Britain’s most recognisable character actors and is highly respected for his work on stage and screen, appearing in many Shakespeare productions playing roles such as Richard II and Henry IV. He gained great critical acclaim for his performance as Titus Andronicus in 1984. He is well known around the world for his roles in The Mission (1986), Prince of Persia: The Sands of Time (2010), The Best Exotic Marigold Hotel (2011), The Second Best Exotic Marigold Hotel (2015), and his appearances in the television series Downton Abbey (2015). George on WWII, Why should we remember? Conjunction on WWII, Why should we remember? 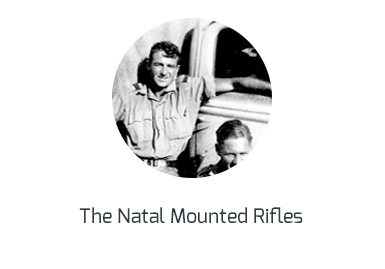 The history of the Natal Mounted Rifles is as impressive as the landscapes they have travelled contributing to war efforts in Africa and Europe. Much like the British Reserve Army, they were only ever called upon during times of dire need. Based in the popular city of Durban, the heavily armoured regiment of the South African Army have proven resilient over the years. 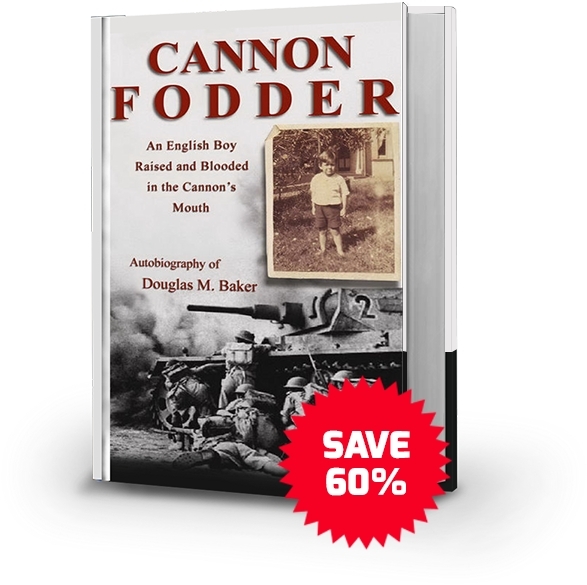 Although they fought against the British and Irish armies during the First and Second Anglo Boer War striving for independence and autonomy, they eventually became allies throughout the First and Second World Wars. The racial policies of Apartheid meant only a small number of men were eligible to fight in the war effort, but fight valiantly they did. Now called the 1st South African Infantry Division, they were briefly deployed to East Africa before being sent to join the North African Campaign from 1941 to 1942. 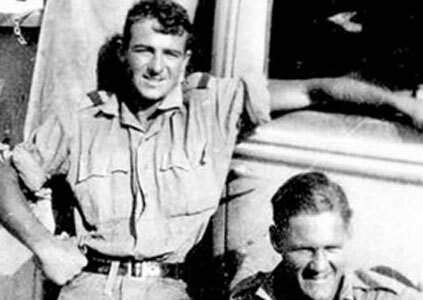 After enduring the blistering heat and extreme conditions of the Second Battle of El Alamein, a battle that was pivotal in successfully ending the North African Campaign during the war, the units finally returned home to a politically fraught South Africa. 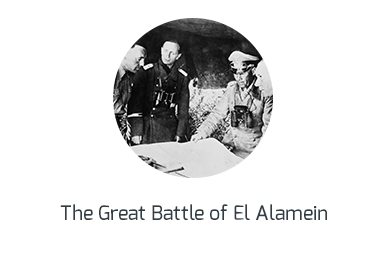 During the First and Second Battles of El Alamein, it was clear that both the Allies and Axis powers were desperate for huge wins. 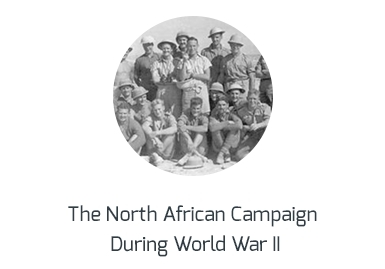 Not only would it bolster their North African Campaign efforts, it would seriously dent the opposition’s morale. The might and dedication of the heavy weight Generals leading both sides created a guaranteed recipe for heavy losses. 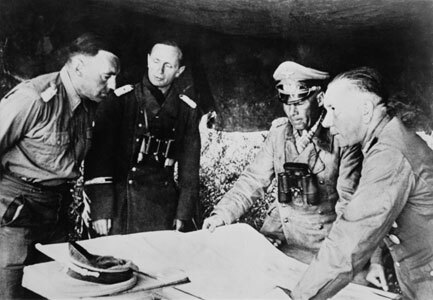 Germany’s General Erwin Rommel was determined to see his Afrika Corps succeed, launching attacks near El Alamein from 1st July 1942 with the aid of Mussolini’s Italian ground troops led by Ettore Bastico. 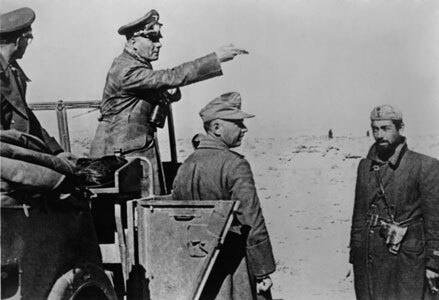 Hoping for a swift first strike approach, Rommel faced disappointing results and by July 22nd the vast losses of the Axis powers from the battles at Gazala in Egypt were hard to ignore. Over extended and weakened by the unyielding early attack of Rommel’s forces, the Allied forces led by General Harold Alexander and Lieutenant-General Bernard Montgomery although successfully holding off the Axis powers, desperately needed to regroup. 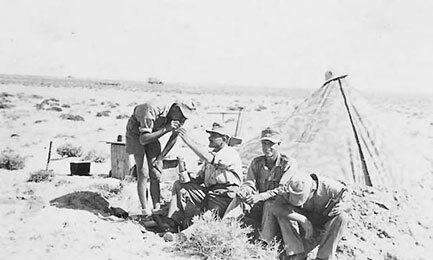 It was during this time that Rommel launched yet another round of attacks in the Battle of Alam el Halfa. Exhausted and in desperate need of supplies, the Allies once again dug deep to keep Rommel’s forces at bay. The Battle of Alam el Halfa was a failure for the Axis power-house and on 30thAugust 1942 once again they suffered defeat. 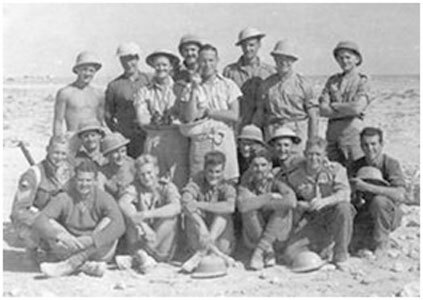 Boasting a stronghold consisting of soldiers from the United Kingdom, India, Australia, New Zealand, South Africa, France and Greece, it was little wonder that the Axis powers were unsuccessful. 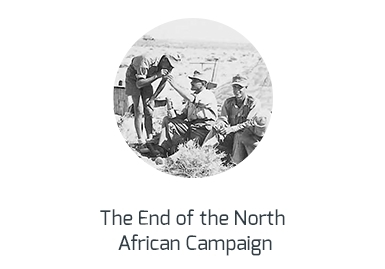 Great losses throughout hinted that the end of the North African Campaign was nigh and that the Axis powers were not going to be the victors. 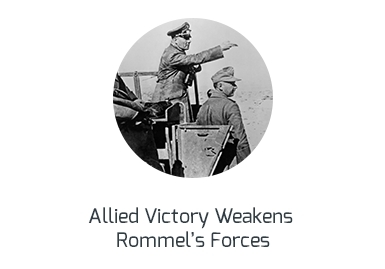 Combining their superior intelligence and impressive numbers helped the Allies force Rommel into fighting a defensive war. Uncomfortable with this stance and facing ill health, there was little he could do against the 8th Army when they launched a two-wave attack against them which finally brought an end to the battle on 11th November 1942. After six years of battling against the Axis powers, as the Nazis and their supporters were known, Germany’s unconditional surrender on 8th May 1945 brought hope for peace, and finally an end to World War II was in sight. The concerto of shells and bombing overhead would be silenced, the air raid shelters could be evacuated and countries throughout the world could get on with the vast rebuilding effort. Even though there would be a few more months of fighting in a handful of nations around the world, Europe was now able to breathe a sigh of relief. Once that sigh was over, it was whoops and calls for joy as the bottles were cracked open, food laid out for street parties and celebration streamers, flags and banners were pinned to buildings and hung out of windows. 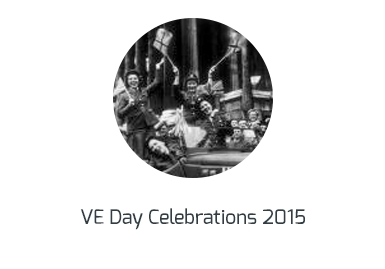 Seventy years later and Victory in Europe Day (VE Day) 2015 is still a stunning affair to be remembered. 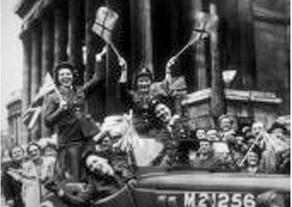 London kicked off their VE Day celebrations with a star studded 1940s themed party, while street parties up and down the country were being thrown in commemoration of the historic event. From America to Russia, London to Beirut, world leaders all stepped up to mark the momentous day with a gesture to honour the generation that as President Barack Obama rightly stated “literally saved the world.” With an air display from vintage fighter planes and a radio address, the American President honoured the soldiers and civilians who exhibited their courage to bring the war to an end. 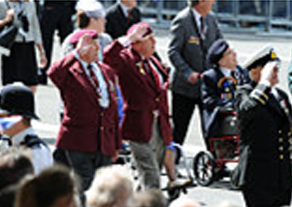 In London, WWII veterans and current service personnel paraded from Westminster Abbey along Whitehall to St James’s Park, where they enjoyed a reception hosted by the Royal British Legion. Russia’s victory parade was an impressive display not only of their military strength, but the respect they hold for all those that took part in squelching the war in 1945. A colourful ceremony held outside the French embassy in Lebanon served as a reminder of just how many nations had offered assistance when the allies had reached out for help. It took many nations coming together to halt the advance of the Axis powers during World War II. 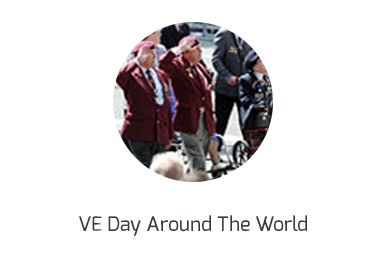 Seventy years later and the celebrations honouring the heroes around the world let us know that VE Day is one that will never be forgotten. 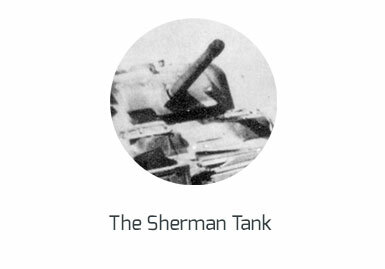 The Sherman tank was the primary battle tank of the U.S. and Western Allies from 1942-45. Nearly 50,000 were produced during World War II. The first Sherman tanks to be used in North Africa were the M4A1’s with the British Eighth Army at the Second Battle of El Alamein in 1942. We have a first-hand account of the operating setup of a Sherman tank from Douglas Baker’s ‘War, Wine and Valour’, when he served at El Alamein. “Our year’s training showed us that a Sherman crew consisted of 5 members – a driver and a co-driver, a radio-operator at the left rear, a gunner at the right front, and the crew commander seated or standing behind the gunner and positioned so as to have his head protruding through the turret opening. The driver and co-drivers were also able to elevate their positions so that their heads protruded through their respective hatches. 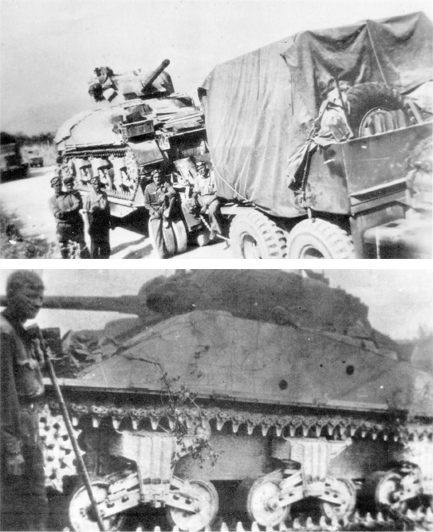 The radio-operator and gunner were equipped with peri-telescopes which enabled them to view the terrain over which the tank was travelling. These elongated telescopes could also be rotated so as to afford a view in any direction. They were also fitted to the driver’s hatches and were often put to good use when shelling necessitated the closing down of all hatches. Mounted in the turret was a 25mm gun, and co-axially mounted next to it was a .30 Browning machine gun, belt-fed.